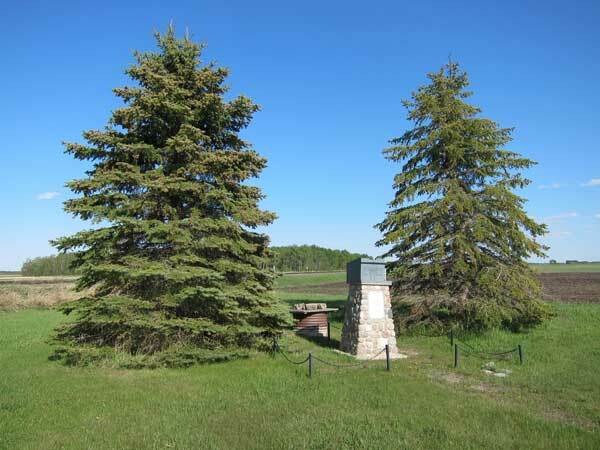 This cairn in the Rural Municipality of McCreary was erected in August 1989 in commemoration of the community of Reeve. A general store and post office was established here in 1940 by Michael and Evelyn Pasosky, and successively operated by Emmet and Evelyn Cody (1959-1963) and Melvin and Ruth Marshall (1963-1978). Nearby was a dance hall and bulk fuel supply depot. Nothing but the cairn remains at the site.